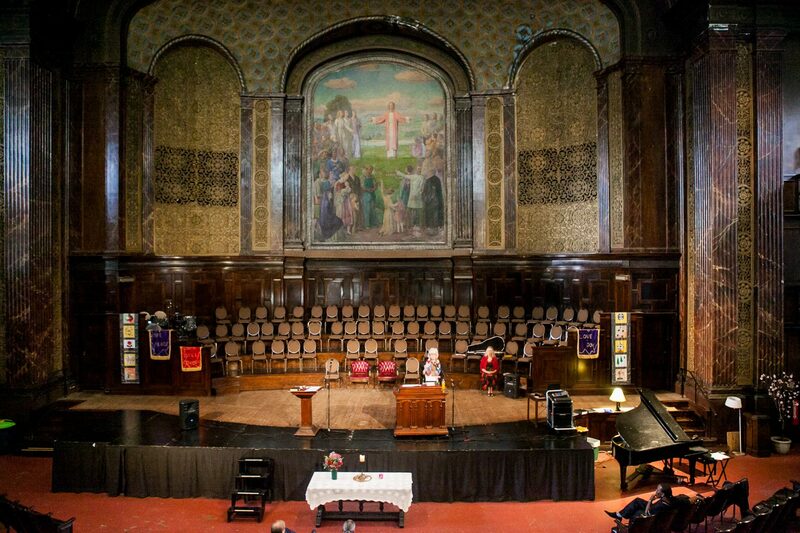 Peoples Church of Chicago is located in the historic Preston Bradley Center in Uptown. We are a worshiping community of Christian, Unitarian Universalist, and other seekers who care deeply about justice, extravagant hospitality, and living our faith grounded in progressive values and Christian teachings. You are welcome here “If you believe in God some of the time, or none of the time, or all of the time,” so we state in our opening worship affirmation each Sunday. We are a multiracial congregation with members from all walks of life. Some of us are employed, some underemployed, some searching for work, and some retired. All of us endeavor to live out our call to be a faith-filled people. Some of us are housed, some homeless, and some temporarily housed. We honor the struggles that each of us may face in our day to day lives. And we join together, all of us, to form a community and make a difference in our neighborhood and city. Join us for worship at 10:00 a.m. each Sunday. The Coffee Hour is at 11:00 a.m. You are always welcome!